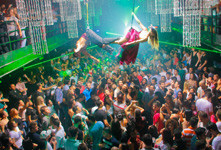 São Paulo night life is a faithful image of the frenetic, creative and democratic city. There are daily and varied offering of GLS spaces that go from Monday to Sunday, aside from places ready to serve all publics. You only have to decide which bar or party goes with your style and hop in. The options of night clubs in São Paulo are infinite and some cannot be left out from your list of visits. It is the case of the huge The Week, one of most successful parties among the LGBT public. There are several dance floors playing different rhythms, couch, swimming pool and even massage, aside from various international artists showing their talent on pick-ups and ending up dancing on the dance floors. 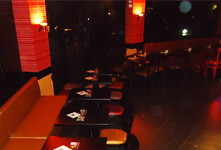 Another sweetheart of the São Paulo night is Bubu Lounge. The soundtrack, which goes from electronic music to nostalgic music, gives the club a fun atmosphere, pleasing the public in general. The infrastructure and good lighting and sound quality also justify its success. And, if money is not a problem, do not lose the chance of getting acquainted with Lions. If your thing is not the glamour of large clubs, what never lacks in the city are options for alternative night outs, where good music and relaxation give the tone of the night. 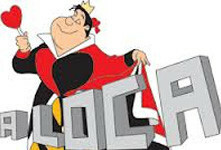 A little simpler and smaller is A Lôca, known as the most democratic of São Paulo. The club has the airs of cave and the decoration is intentionally trash. Party style varies in accordance with the day. In recent years, the city also started hosting itinerant parties. 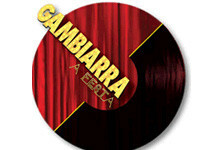 Gambiarra on Sundays is the best known of the country. Plays from MPB, axé and Brazilian country music to trash and it is not hard to find celebrities there. Ursound is one of the oldest. Dedicated to “bears”, it has shaken the nights of São Paulo for ten years now with parties in large spaces, in dance floors dedicated to electronic and pop music. If the party goers on duty find on the city’s dance floors the perfect place to have a party and to have a bash the whole night, São Paulo still offers diverse bars and pubs to enjoy and flirt without the interference of loud sound or even to warm up before the night out. Bar Volt attracts a more alternative public with its mix of bar and neon design gallery. It has a good menu of beverages and the musical repertory includes electronic music and segmented styles from all over the world. In three floors, Blitz satisfies the interest of various publics. The ground floor holds a luncheonette, the basement a dance floor and the upper floor a room for free games that include soccer table, snooker and videogame. For the older gang, Vermont Itaim is the best idea. With a mix of coffee shop, restaurant and night out, it gets full on Fridays and Saturdays, with discotheque and entertains with very lively samba presentations on Sundays.